ColorID Distribution offers five exceptional ID Cameras for your Identification System. Great for up taking images from up to 5 feet away. HD quality images, Motorized Pan, Tilt, Carl Zeiss optics, Built-in microphone, does not include tripod. ​ColorID Pro Image Series 500 allows you to use a high resolution digital camera to take crisp and clear images for your ID cards. This package comes with auto cropping and face finding capability. 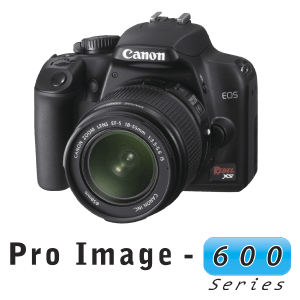 ColorID Pro Image Series 600 allows you to use a high resolution digital SLR camera to take excellent images for your ID cards. Comes with auto cropping and face finding capability. ​ColorID Distribution's Pro Image Series 700 allows you to use mouse controls for Zoom, Over 467 Lines of Resolution. Includes Software, Cables, Mounting Hardware, Synchronized Flash or Strobe Lamp with Software Exposure Control, Twain Driver for instant integration with all major ID and graphic packages. Direct Show ID Camera, 4K Video Sensor, Pan/Tilt/Zoom, 15x HD Zoom, 90 Degree Field of View, Tripod ¼” Mountable, Windows: Windows 7, Windows 8.1, Windows 10, MacOS 10.10 or higher, Chrome OS. Includes ColorID 2 year overnight hot swap loaner warranty. 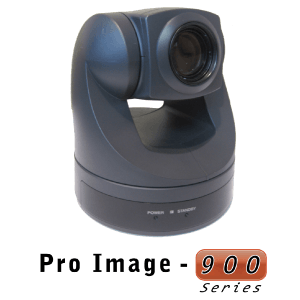 ColorID Distribution's Pro Image Series 900 is a high quality/resolution ID camera. Its speed and performance in conjunction with the highly praised PCI based systems through a single USB connection can make your ID System extremely easy to use. Our newest models offer a fully compatible USB connection to your PC. It includes a high intensity photoflash and captures perfect images from 18 inches to 14 feet away from the camera.